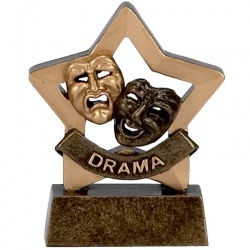 Awards trophies for dance, music and the performing arts. 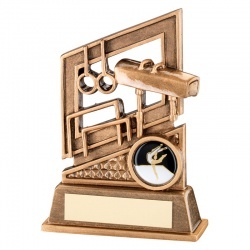 Buy trophies online with low, fixed cost text engraving and free logo engraving. 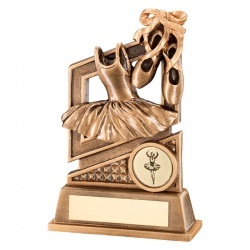 This selection includes ballet trophies, drama trophies, tap dancing trophies, dancing awards, a majorette trophy and singing trophies. 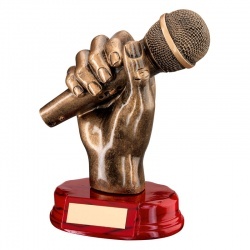 7in Resin Singer Trophy with Microphone on Base with Plaque. 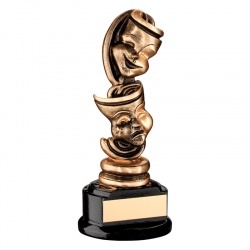 6.5in Resin Comedy and Tragedy Masks Trophy with Plaque. 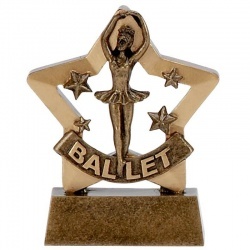 Resin ballet scene award in antique bronze finish. 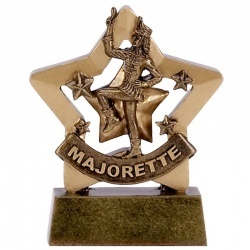 5.5in tall. 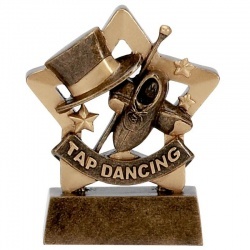 Resin dance award in antique bronze colour finish. 5.25in tall. 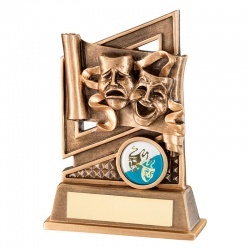 Resin award with drama masks on base with plaque. 5.25in tall. 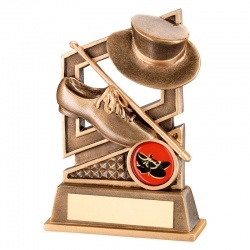 Resin men's gymnastics award in antique bronze finish. 5.25in tall. 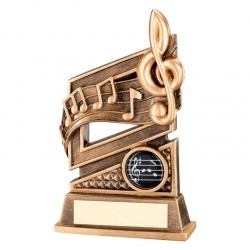 Resin music award in antique bronze finish. 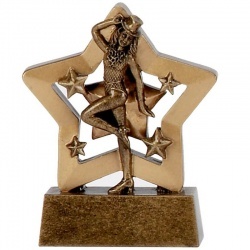 6in tall.